Big Data. If you are like a lot of business owners, managers and marketing professionals, the term makes you a little (maybe a lot) uneasy. And dealing with the onslaught of available marketing intelligence that Big Data can lead to, even for a small business, can be a major challenge. But where there are big challenges, there are often even bigger opportunities. I'm confident that's the case with Big Data as it relates to marketing. “Big Data is the current term given to collecting, analyzing and generating insights from a wide variety of customer, commercial and environmental information. It is used to develop better understanding of customer preferences, habits and considerations in making transactions with different categories, brands and channels. The term “Big Data” is at least somewhat open to interpretation and will vary from company to company. This is the Information Age. Everywhere we turn, it seems we are being bombarded with information. The total daily volume of data created by humans is 2.5 quintillion bytes. 90% of the world’s data has been created in the past two years. Let those number sink in for a moment! Nowhere is this feeling of “information overwhelm” more prevalent than it is in marketing. Marketers like you and I are constantly being bombarded with the “latest and greatest” marketing tools that all the rage. And to make matters more difficult, these technological marketing marvels produce a lot of data. And we can't totally disregard data, not if we want to enjoy a robust level of marketing success. We do need to pay attention to and make use of relevant data to maximize our marketing effectiveness and enjoy the kind of conversion results we want. So what can we do to harness the power of marketing technology to provide us the data that will help us reach our marketing goals without being washed away by an “information tsunami”? In an upcoming article, we will be discussing specific tools and techniques for managing and leveraging the power of Big Data to help us enjoy more marketing success. But for now, let's concentrate on some Big Data practices that can help us regardless of the tools used. Even for a small business, the amount of available online marketing data can be overwhelming. And we keep hearing about how we need to put this data to use, but the task seems too daunting, so we often take a “head in the sand” approach and try to forget about it. Don't do this! Please understand that if you are going to maximize your conversion rates, you do need to pay attention to relevant data! And it will take some work. But if you focus only on data that's truly relevant to growing your business, probably not as much work as you might think. 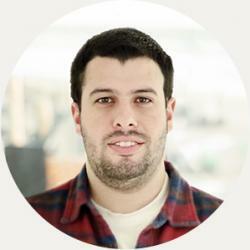 So which Big Data matters in marketing and which doesn't? That can be hard to determine. Suffice it to say that a lot of the data we tend to get carried away with and focus on and put much (or even most or all) of our efforts into increasing, doesn't matter that much in terms of ultimate sales results. For example, think about the number of social media followers you have. The number of “likes” your Facebook business page has, the number of times your tweets are retweeted or favorited. These all count as “Big Data”. And granted, these numbers may give you a feeling of excitement, and many marketers put substantial effort into trying to increase them. But do they lead directly or indirectly to more sales? Think about how large your email list is. It may be enormous. But does your email marketing lead to sales? Wouldn't you rather have a list of 1,000 rabid fans that routinely buy from you passionately than 1,000,000 disinterested list members who never buy anything? Are you focusing on and measuring the email metrics most likely to have a direct effect on your conversion rate, like open and click-through rates? And don't let yourself be overwhelmed with or distracted by irrelevant data. Focus on what matters. Focus on gathering and analyzing the data likely to directly, or at least indirectly, lead to more sales. While you're focusing on measuring and analyzing the data that matters for your business, while ignoring that which doesn't, don't get caught up in measuring just for the sake of measuring. And once you've collected and analyzed your data, follow through on it. Take action to make the improvements the data would suggest you need. After you implement the changes, start the process over again – collect and analyze your data and take further action to improve your marketing results even more! The Biggest Opportunity From Big Data? Your prospects will be most likely to respond to offers they view as relevant to them. This requires you having an intimate understanding of a detailed customer profile and marketing to prospects who match that profile. It involves the power of persuasive, reader-centered copy and content that solve problems for your audience rather than just push and brag about products. One of the most powerful ways you can give your marketing efforts a “relevance boost” in your reader's mind is to personalize your messages to him. Big data can help you do this – more about this in an upcoming post. Not only can you address him by name, a powerful persuasion tool in its own right, if you gather enough information from online surveys, email signups, e-commerce transactions and so on, you can offer him a highly tailored customer experience that matches his preferences, including the tone of your message and the medium through which its sent, video vs. text, for example. You can set the stage for repeat sales and follow up sales of items that compliment the one he just bought. For example, let's say he just bought a winter coat through your e-commerce store. You could – and should – offer him complimentary items at the point of checkout. You could also send a tailored, personalized email message after the sale thanking him for his purchase and offering him scarves, gloves and hats, maybe at a discount you only offer to current customers, like him. You could pursue him with messaging details most enticing to him. For example, let's say you were selling cars through the power of personalized messaging. The sales approach you would take for a particular model would be much different for a young single man than it would be for a “soccer mom” with two kids, ages 8 and 10. With personalization, you could offer each of them the same car through vastly different messaging. With the single man, you might focus on the car's style and performance, with the soccer mom, you would focus on value, safety and reliability. But the bottom line here is that the personalization afforded you by Big Data is a powerful tool that can help you convert more shoppers into buyers. So why are you putting in this time and effort to collect, analyze and take action on Big Data? Because you want to make more sales. You want your online marketing campaign to be more effective. 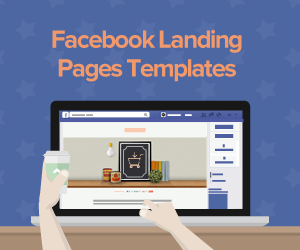 And to have the most effective online marketing campaigns possible, you need landing pages. A well-engineered, conversion-optimized landing page with solid, persuasive copywriting, clean design and relevant, noticeable graphics can help turn more online shoppers into online buyers. 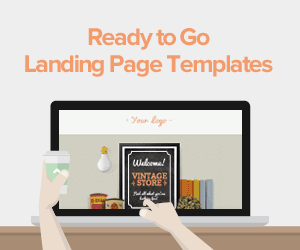 But you don't want just any landing page software. 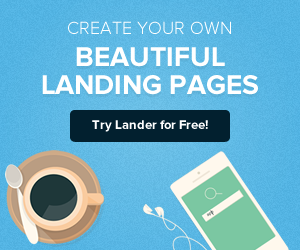 You want Lander, the easiest-to-use landing page platform in the Universe! 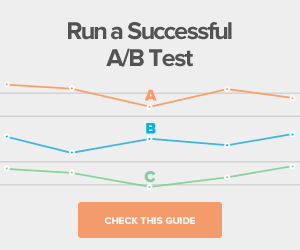 Lander's performance dashboard and advanced A/B testing capability will help you harness the power of Big Data to improve your conversion results Big Time! 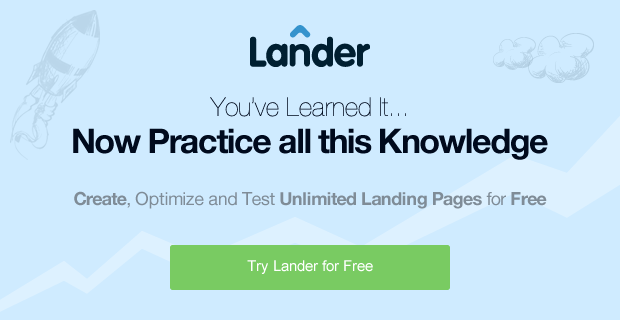 And Lander is loaded with a ton of features that will give you a host of benefits, but here's Lander's “feature” you just might like the most: You can try any template in our landing page platform for free and with no obligation! Any questions? We'd love to help you. Contact us today! PS – Check the Lander blog soon for an upcoming article on specific tools and techniques to help you harness the power of Big Data in your marketing!